As a dietitian, I know that mothers are looking for EASY ways to feed their kids that they can feel good about AND, that the kids will like! 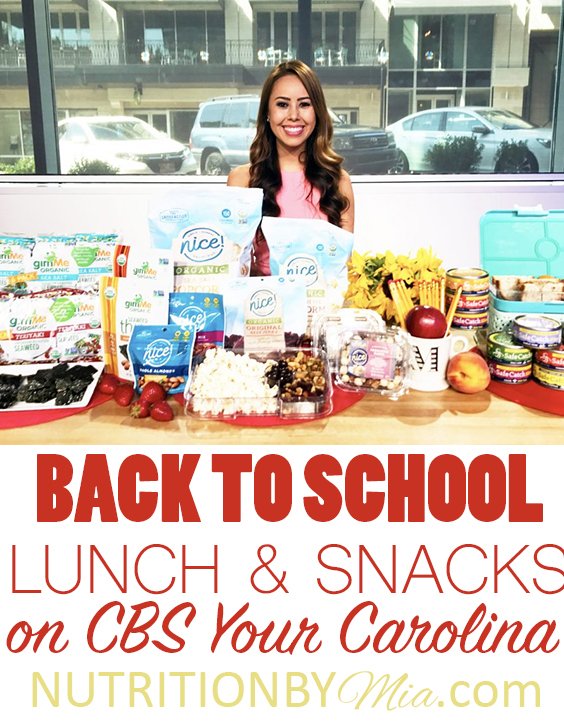 This morning I shared some meal and snack ideas on CBS Your Carolina. Wild Tuna Melts and Sandwiches: My dietitian-approved lunchbox addition is TUNA. It is one of the EASIEST, high quality protein sources that has those good omega-3 fats. I recommend Safe Catch Wild Tuna because it has the lowest mercury levels of any brand on the market, so it’s a kid-friendly option. I shared their seasoned elite variety, which comes in six delicious blends that have been seasoned and flavored for you, so you don’t have to do much to it – it’s ready to eat! Roasted Seaweed Snacks: These are seriously addicting! I shared gimMe’s organic roasted seaweed snacks which are savory, crispy… naturally low in calories but HIGH in vitamins and minerals. I recently tried their new organic Seaweed Thins and I have to say that I am completely hooked – only 100 calories per bag with six grams of both protein and fiber. 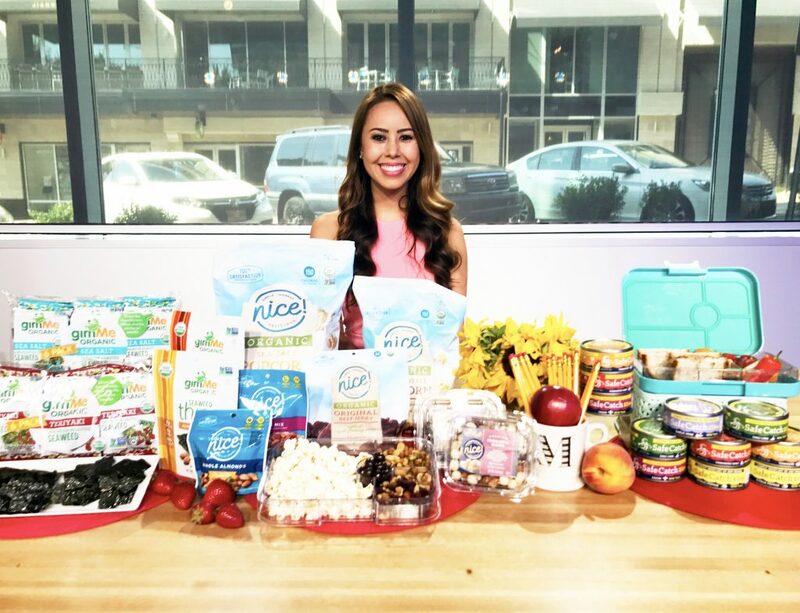 Popcorn, Beef Jerky, Trailmix: These are some snacks that kids know and love… I shared a variety of snacks from the Walgreens-owned Nice! Brand which offers food and beverages at affordable prices. They recently rebranded to offer MORE organic items and have implemented healthier ingredient standards including minimizing hydrogenated oil and artificial ingredients, whenever possible. You can find these snacks and over 100 new items at Walgreens, which will be rolling out through the remainder of the year. Yogurt: Yogurt is an easy after school snack and perfect for kids! I shared Chobani Smooth which is a regular, low-fat yogurt. It comes in five kid-approved flavors including strawberry and peach – made with real fruit, no artificial ingredients. As a dietitian, I recommend these for kids because they have 25% less sugar and two times the protein of other traditional yogurts. They are a great source of calcium as well, which is SO IMPORTANT for growing kids.